As a Chicago nursing home and neglect lawyer, I understand that when a loved one dies it is an emotional time for the family. When a loved one dies due to the negligence or fault of another it is unthinkable. Families place loved ones in a nursing care facility to receive expert care that the family is unable to provide at home. When a sudden death occurs in a nursing home resident, determining the cause of death is critical in establishing if there was abuse or neglect at the nursing home. An experienced Chicago nursing home abuse and neglect attorney will determine if the abuse and neglect contribute to a medical condition that caused the patient's death. That is why it is critical to consult with an experienced attorney promptly. You may have a wrongful death lawsuit. If you or someone you love has sustained injuries or loss from nursing home neglect or abuse, contact Nemeroff Law Offices today. 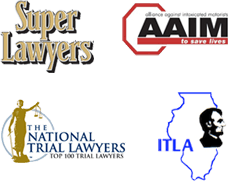 Our experienced Chicago nursing home abuse and neglect lawyers are available to speak with you directly.